H2Engineering is a well known name in Tallahassee for being a full service MEP design and consulting firm that is committed to the needs of their clients. Their in-depth knowledge of innovative solutions and superior service makes H2Engineering the first choice for engineering services. 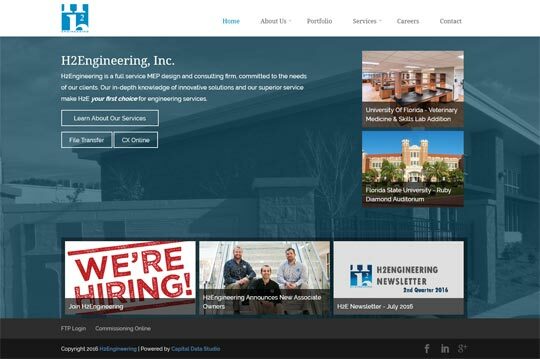 H2Engineering needed a great looking a website but also needed a way to showcase their services and portfolio. 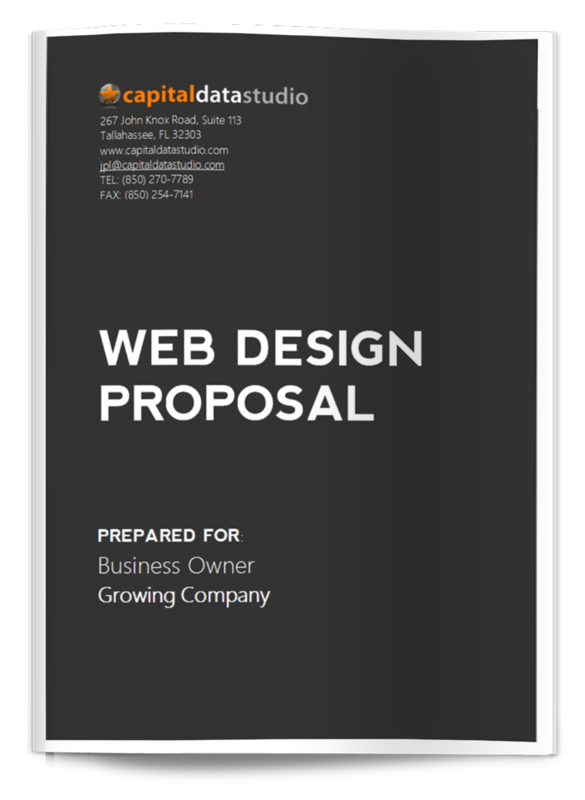 Capital Data Studio developed a WordPress site that organized their portfolio in various galleries that can easily be updated within their dashboard. When viewing a project, similar projects are displayed in the sidebar. As well, their Services page works in a similar way for easy updating. 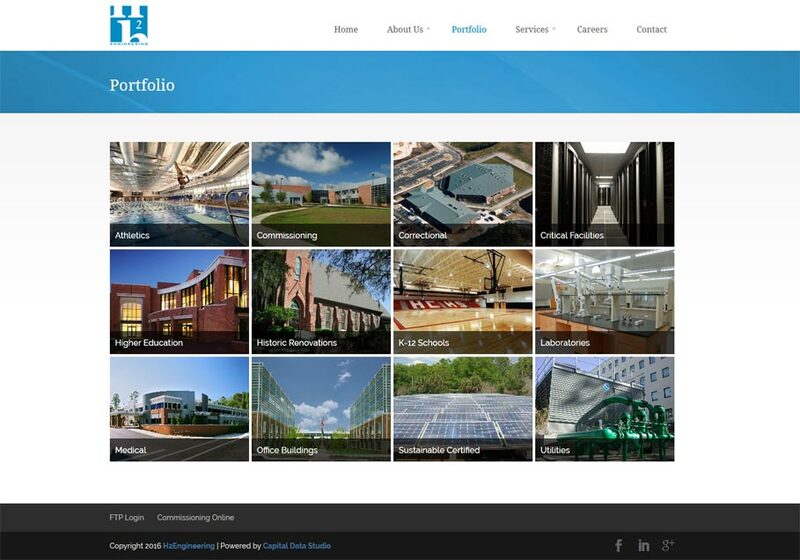 Portfolio gallery with category and sub-categories. Image organization with thumbnails and slider. Career section and Staff Sections.